Just over a year ago, Mayor Crazyville approached me at a MOPS meeting. (Back then, I knew her by her real name, Sharon.) She asked me if I would be interested in becoming an Illinois Field Mom, and was surprised when I said “YES!” without hesitation! 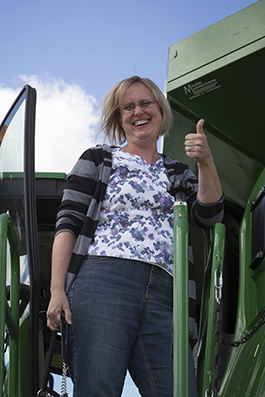 The Illinois Field Mom program through IL Farm Families takes suburban moms like me out of the city and into the country to talk to real farmers. This past year as a Field Mom has been such a great experience. Here are just a few reasons why. 1. I’ve been able to visit my farming roots. My dad worked on the farm when he was young. He worked in the fields and cleaned chicken coops. He drove a John Deere tractor. While I didn’t grow up on a farm, I grew up in a small town of about 800 people. I ate fresh, local produce in the summer and canned or frozen produce in the winter, made by my mom. 2. Technology has changed farming for the better. A lot has changed since my dad drove a John Deere back in the 50’s. Farmers now use GPS, mapping systems and soil testing to give their fields exactly what is needed. This technology helps give the farmer higher yields and also helps the farmer to be environmentally friendly. Read what I learned about applying fertilizer here: Fascinated with Fertilizer. Learning about how farmers use GPS in their combines. 3. I don’t have to be afraid of GMOs. Before I became a Field Mom, I wasn’t even sure what GMOs were. GMO corn (field corn, not sweet corn) is pest resistant, which means the farmer doesn’t need to apply as many pesticides. It’s highly unlikely that you would find GMOs in your local grocery store produce section. For more about which genetically modified seeds our farmers are planting, read this article: GMO 101: The View from Our Farm. 4. I can feed my family healthy foods on a tight budget. When I left my job to become a stay-at-home mom, my husband and I knew that we would have to live on a tight budget. This means I can’t always afford to buy organic foods. I have learned that freshness matters (which is why I believe in buying local produce when possible), and that conventionally raised produce is just as nutritious as organic produce. I also used to worry about hormones and antibiotics being used in meat. Through the Field Mom program, I’ve learned that Federal law prohibits hormones from being used in pork and poultry, and the hormones used in beef are much less than the hormones you eat in a baked potato. Only animal who are sick are treated with antibiotics, and they are removed from the herd population until they are well. They are not allowed to be sold as meat until the antibiotics have been cleared from their systems. Read more here: Let’s Talk About Hormones in Meat. 5. Farmers genuinely care for their livestock. My visit to a cattle farm convinced me! Throughout the visit, it was obvious that the Martz family cared for their livestock. They are continuously improving their cattle barns to make life better for their cattle. They have started using moveable curtains as opposed to wooden slats on the sides of the barns, and rubber floors as opposed to concrete. Although the cattle are with them for a short time, they want their cattle to be content. 6. Most Illinois farms are still family owned. Just like you, I’ve heard about “factory farms” and big farming corporations. In Illinois, over 94% of the farms are still family owned. I have been privileged to meet some of these farmers through the Field Mom program. Conventional farmers and organic farmers; farmers’ wives and farm journalists; cattle farmers and grain farmers; I’ve been able to talk with all these people and ask them my questions through this Illinois Farm Families program! 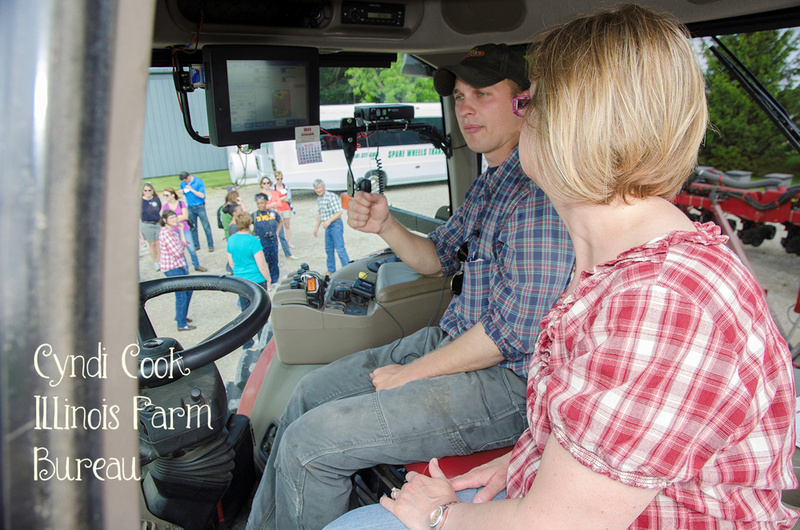 You can “meet the farmers” as well on the Illinois Farm Family website, Watch Us Grow. This Saturday, I’ll be visiting a hog farm. I’m looking forward to learning more about how pigs are born and raised in Illinois to become part of our food chain. Next week, I’ll show you what I’ve learned. Is there anything you would like to know about farming in our country today? I’ll try to find an answer for you from the people who can answer the best! Thank you for tagging along on my journey as an Illinois Field Mom. Wow, this sounds like a great experience! And the fact that 94% of farms in Illinois are family-owned really attests to the dedication of farmers in this state. Thanks for sharing! I ove this post. It’s veyr insightful. I knew some of this already as my husband works in meat processing, but some things were new to me and some things are differetn here in Europe than in the States. My husband told me all about the meat-is-full-of-hormones hype and he says meat processing factories (and I assume farms too) are strictly supervised, more so than for example restaurants. That is very interesting, Astrid! I’d love to learn more about how farming is different in Europe. This is very insightful, and leaves me with a much better feeling with regards to the foods that I pick up and then feed to my family. Thank you for passing along this information to all of us. Coming to you from Illinois and the SITSgirls ShareFest. Thank you for your kind comment! I really am learning so much about how food is produced for us. What a neat experience! Thanks for sharing it. I look forward to reading your other reports, too. It was a great visit! Now I have to organize my thoughts and decide what to write about. 🙂 Thanks for following along! I love that you know so much and you don’t fear the hormones, antibiotics and GMO’s. That’s important for me to read, although we live in different states. I buy locally in MA, though. Freshness is very important! I still have a lot of questions, and am still learning a lot about the food we eat. I’m grateful I have this opportunity! Hi girl! Coming by from SITS today to visit you!! Hi! It’s been a long time! Thanks for stopping by! That is so awesome that you are getting to do something that reminds you of your chilhood. I live in Illinois too so as I am reading about this it reminds me of Orin Samuelson onWGN radio. Have you ever listened to him? I haven’t actually listened to him, but I know who he is! One of my friends has met him in person. I should try to listen to him soon! Janine Huldie recently posted…GLOSSYBOX, Pandora, Birthdays, Spring Soccer, Oh My – So Thankful! I had a great day! I’m looking forward to writing about what I learned. Just wait until you see the baby pigs!